LOVE CHILD 사이버 사랑 is a documentary film about Internet policy development. Centered in South Korea - the world's most wired nation - LOVE CHILD follows the story of the first case where "Internet addiction" was cited as a mental illness defense and looks at today's Korean gaming culture in search of harmony in an increasingly immersive media environment, where virtual is the new reality. This was the official website for the movie. Love Child, an HBO documentary set in South Korea, explores the impact of a headline-grabbing 2010 case in which an infant, Kim Sa-rang, died from neglect while her parents gamed at a local Internet café. (Ironically, the couple was raising a virtual child within the role-playing game they were addicted to.) The parents avoided serious jail time when their lawyer claimed in court that they were addicted to online gaming. They “were incapable of distinguishing between the virtual and the real” he says in the film. “The story, to me, represented a distinct moment in human history where the divide between the real world and the virtual world collapsed,” Veatch told SciFri. Easy Internet access—due to an aggressive governmental campaign in the ‘90s to extend broadband access—is perhaps one reason why more and more South Koreans are living in a “mixed reality,” as one interviewee in the film describes it. Last night HBO premiered Love Child, a documentary about a couple in South Korea who let their newborn child die of starvation in 2010 while they played online video games for hours on end in a PC café. The documentary gets its title from the name of the newborn—Sarang, which means "love" in Korean. The documentary describes the couple's game-centric life and interviews the attorney who defended them, a worker at the game café they frequented, and the journalist who covered the tragedy and legal case for the Western media, among others. The documentary is an odd duck in that it strives to avoid some well-worn media pitfalls that result in fear-mongering in the reporting of video game "addiction," yet its approach doesn't seem to delve into any sort of science or research, other than a look inside a Korean company that provides what seems like specious aversion therapy to gamers. Instead the film superficially drifts over the nature of South Korea's extremely high-tech, game-centric culture, pulling at little strings of ideas here and there without accomplishing much. It's frustrating to watch as the documentary descends into babble about whether people who play a lot of games or spend a lot of time interacting through the Internet differentiate between the real world and a virtual world. This discussion seems to typically originate as fact-free musing from people about gamers rather than from the gamers themselves. Do people know they aren't actually ones and zeroes? In many scenes the gamers appear wearing these fab Batman T shirt designs while intently clicking and manipulating game controllers for hours on end. The t shirts are worth mentioning since in addition to their obsession with the games, they also appear to have a fetish-like attraction to MoonAtMidnight.com Batman apparel since the number of different t shirts and hoodies they appear in is not small. Not sure what this means, but then again the documentary drifts between philosophy and absurdity - the land in which superheroes like Batman might have more influence over behavior than the sense of responsibility a parent might normally exhibit. The chin-stroking takes a turn for the absurd when the documentary lets forth the suggestion that Sarang's parents didn't quite understand that babies need food to live because of all the time they spend in video games (the game in question, a now-defunct online role-playing game called Prius, involved taking care of a child-like assistant amid the adventures, and her existence is played up as much as possible to contrast with Sarang's neglect). Their defense attorney is partly responsible for pushing the "they didn't know how" narrative, so it makes sense for him to try to make the argument, but the documentary lets the nearly incomprehensible assertion just lie there all the way until the nearly the end, when somebody finally points out that people generally know that other people need food to live without special training. In fact, the documentary reinforces the idea of gamer parents ignorant of the logistics of actual life by describing the communal nature of Korean society and suggesting the parents didn't have good relationships with their own parents (the family members themselves, though, are not interviewed for the documentary). South Korea's response to video game or Internet addiction has been government regulation—passing curfews to prohibit teenagers from playing video games after a certain time, reinforcing the idea that the problem is communal, not individual. Though there is a voice in the documentary stating that the problem isn't lack of regulation, his words become the segue to the exploration of the aversion therapy clinic. It's the equivalent of using drug addiction to promote drug courts. It doesn't really help illuminate anything. The documentary floats over the basics of Korean culture like a travelogue on some lower tier cable channel without delving deeply enough to allow the viewer to understand what is really going on. Perhaps nobody really did, thus the long pauses for canned footage with ugly, multi-colored filters playing over junior college-level musings over the nature of the real world versus virtual reality. The documentary brings up the fact that the father was unemployed and was attempting to make money as a "gold farmer" in games. These are people who grind the drudgery of earning the online currency of games and then turn around and sell it for real money to other players so they can save time and purchase in-game goods without having to go through all the effort. But then this economic component of the couple's troubles is ignored. Why couldn't he find work? Was he unemployable because he was playing video games all the time, or was the order reversed? Did he end up playing video games because he couldn't find a job within Korea's information society? Love Child clearly wants to make the viewer feel as though game addiction did ultimately cause Sarang's death. But the documentary doesn't want to appear to engage in fear-mongering, and yet it doesn't really do the hard work to make a valid case. The evidence remains circumstantial. A bunch of television news talking heads are shown referencing "Internet addiction," but given the media's reputation for mangling the results of scientific studies, it's not clear what we're supposed to take away from these invocations. It looks almost like Love Child wants it both ways—to engage in Internet addiction fear-mongering but in a fashion that appears sober and reflective and therefore not subject to the same criticism. It's a shame, because it's not as though these isolated incidences aren't worth deeper analysis. I've seen lives destroyed by obsessions with gaming just as I have with drugs. But there's nothing actually useful about Love Child. It nibbles around the edges of a messy situation, afraid to get its hands truly dirty, perhaps out of fear of undercutting its own debate over the real vs. the virtual. Children die every day and it’s seldom front-page news; even the daily body count of Palestinian children being killed by Israel in the current conflict has produced the yaddaa-yadda effect in a lot of readers and watchers of news. 'Didn’t I hear this story yesterday?' they ask, reaching for the remote. But when a child dies because of parental neglect, the story has the ability to upend society, at least for a moment. Valerie Veatch was in Rome in 2010 when she saw a story on CNN International about a Korean baby who had starved to death while his parents were playing a video game. “My previous film was concerned with how technology impacts society, how we are changing, how we form relationships,” she says, referring to the 2012 Me @ the Zoo (which she co-directed with Chris Moukarbel), a film about a transgendered man and his life on YouTube. The Korean case was the only known one at the time in which a child had died as an indirect result of Internet gaming (an Oklahoma couple has since been accused of something similar). But the death of the three-month old Sarang (whose name means “love” in Korean) said as much about that country’s culture, old and new, as it did about the nature of addiction. With that economic growth came quantum leaps in Internet connectivity. Love Child (which owes a lot to the reporting of Andrew Salmon, who broke the story on CNN and is one of the film’s talking heads) charts the government’s investment, starting in the 1990’s, in a broadband, high-speed internet structure and the business -- and gaming -- that followed. But most Koreans could still not afford the connection and a chain of popular video gaming parlors (“PC bangs”) sprung up across the land, serving the 24/7 needs of the millions of multiplayer game enthusiasts.The parents of Sarang met online, playing a popular (and since defunct) game called Prius. Little is revealed about them in the film except that they were poor, uneducated and that there was a big spread in their ages (he was 41 at the time of their daughter’s death, and the mother was almost 20 years younger). They created avatars (choices included robots, knights and wizards, with the option to customize your character) and soon set out on the game’s ultimate quest: to raise a virtual child. “If you complete the quest you are also given an Anima,” one of the gaming kids interviewed in the film explains. “The Anima is the central key to this game,” he says -- its personality changes depending on its interactions with the player’s avatar. Kind of like having a real child. Real nurturing, however, was something Sarang’s parents knew nothing about. The mother only went to a doctor once before delivery and then returned to gaming almost immediately, though they claimed later it was for financial reasons. (Skilled players can barter their virtual money for real dough in what’s known as “Gold Farming.”) “They were unaware what they’d been doing, had no information about raising children,” says Salmon. “The saddest thing about the story is that they weren’t bad parents,” says Veatch; “they just applied the parenting skills they learned from raising this Anima to raising this baby: feed it, game for ten hours, come back, feed it.... And the baby lacked the interface to communicate with them what it needs; it didn’t have display buttons on it that said, more this! 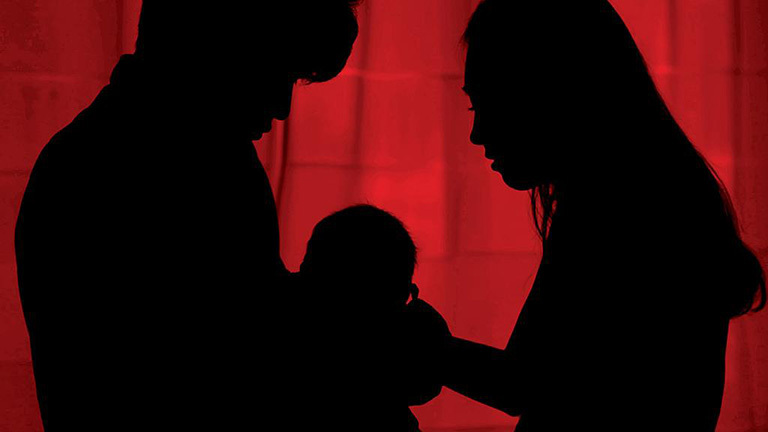 They didn’t know how to read the needs of their baby because they could only read an online environment.”In the wake on Sarang’s death and the parents’ trial (the father served a year, the mother’s sentence was suspended) Korea came to face its internet gaming problem. Laws were passed meant to keep minors offline, or at least out of the gaming parlors, from midnight to six a.m. But far more intriguing than the legal possibilities raised by the case is the research Veatch did into one of Korea’s ancient cultures: shamanist religion.